New Delhi: The Vice President of India, Shri M. Venkaiah Naidu expressed concern over the growing incidence of non-communicable diseases (NCDs) and called upon the medical fraternity to take the lead in promoting healthy lifestyle. Shri Naidu said that also wanted members of the Indian Medical Association to take up a drive to prevent NCDs by visiting schools in their respective neighbourhoods and educate the children on the health hazards of modern lifestyle. 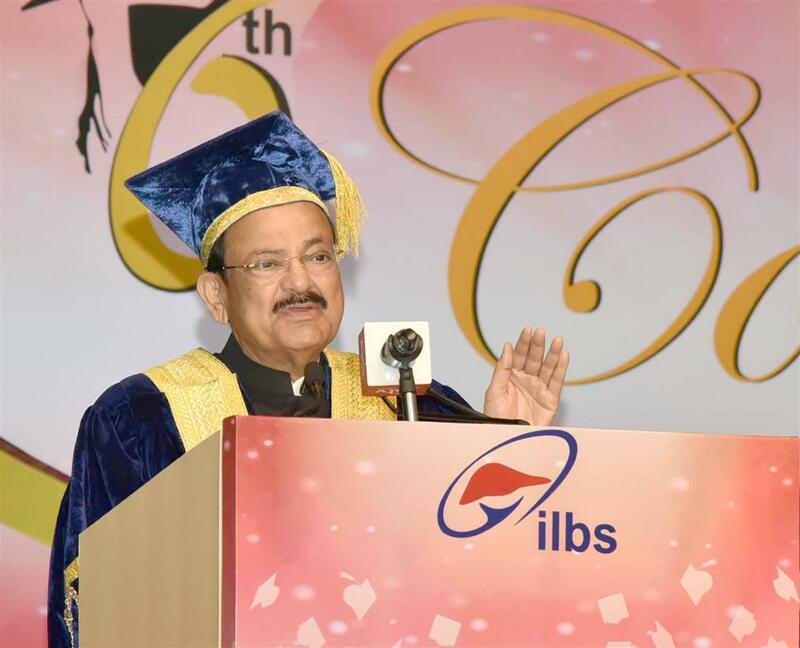 Participating in the Sixth Convocation of the Institute of Liver and Biliary Sciences (ILBS), here today, Shri Naidu said that there was a need to arrest this alarming trend by launching a nationwide campaign on Non-communicable diseases. Quoting the WHO report he said that that about 63 per cent of all deaths are caused by NCDs. The rising trend of diabetes, heart diseases, cancers and chronic respiratory problems needs to be halted, he added. Shri Naidu said that Yoga must be promoted in schools in a big way in view of its salutary effect on health. Yoga and meditation would not only help in improving physical fitness, but also ensure mental equilibrium, which is the need of the hour in view of the increased stress faced by the youngsters, he added. Observing that the most important aspect of healthcare was to make it accessible and affordable to the poorest of the poor, he suggested providing free intensive care to all road accident victims and also to develop transplant facilities in Government Medical colleges. He said making ICU care affordable by government assistance and universal insurance should be the way forward. Stating that India was lagging behind western countries in organ donations due to the absence of a robust diseased donor program at the national level, he urged the government to promote cadaveric donor programme and also wanted people to join the noble cause of organ donation. Shri Naidu also said that the out-of-pocket health expenditure borne by majority of the people needs to be addressed as high costs have pushed many families into debts. There was also a need to initiate measures on a war footing to bridge the urban rural divide in healthcare facilities in the country, he added. Congratulating ILBS team for having performed over 550 liver transplants since the institute’s inception, the Vice President lauded the institute for introducing several innovative teaching programs. The Minister of Health and Family Welfare, Govt. of Delhi, Shri Satyendar Jain, Chief Secretary of Delhi, Shri Vijay Kumar Dev, the Director, ILBS, Shri S.K. Sarin, faculty and students of Institute of Liver and Biliary Sciences (ILBS) were also present. 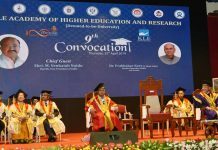 “I am pleased to participate in the Sixth Convocation Day of the Institute of Liver and Biliary Sciences (ILBS) and address the staff and students of this institute. I am told that ILBS is offering state-of-art liver care services to lakhs of patients and has become a 234-bed hospital with a footfall of more than one lakh patients per year. While the country needs more such institutes of advanced medical care, it is also a matter of concern that liver ailments and other diseases associated with modern lifestyles are on the rise. The growing incidence of non-communicable diseases should be a matter of concern to all and not only to health experts and planners. According to WHO, about 63 per cent of all deaths are caused by NCDs in India. We need to arrest this alarming trend by launching a nationwide campaign on the dangers posed by the modern lifestyle—physical inactivity, unhealthy dietary habits, use of alcohol and tobacco and obesity, among others, are .leading to higher incidence of NCDs. The rising trend of heart diseases, diabetes, cancers and chronic respiratory diseases has to be halted. While the government has plans to reduce by about 50 per cent the household use of solid fuel and about 30 per cent in the prevalence of current tobacco use by 2025, the need of the hour is for all stakeholders in the healthcare sector to collaborate and scale up their efforts in a massive concerted action to prevent and control NCDs. This campaign on creating awareness to adopt healthy lifestyles should start from schools and the medical community should take the lead in promoting it. I would like to call upon the Indian Medical Association members to take up this drive to prevent NCDs by visiting schools in their respective neighbourhoods and educate the children on the health hazards of modern lifestyles. As a matter-of-fact, yoga should be promoted in schools in a big way in view of its salutary effect on health. Yoga and meditation would not only help in improving physical fitness, but also ensure mental equilibrium, which is the need of the hour in view of the increased stress faced by the youngsters. According to ‘Health Statistics 2018’, WHO’s annual snapshot of the state of the world’s health, less than half the people in the world today get all of the health services they need.It is estimated that In 2010, almost 100 million people were pushed into extreme poverty because they had to pay for health services out of their own pockets. A staggering number of13 million people die every year before the age of 70 from cardiovascular disease, chronic respiratory disease, diabetes and cancer – most in low and middle-income countries. All these are important issues that impact the overall development of a nation. In India, one of the biggest concerns is the utterly lopsided spread of the healthcare facilities with most of the best and state-of-art hospitals located in urban areas although the majority of the people live in rural areas. We need to initiate measures on a war footing to remedy this situation. Another equally vital issue that needs to be addressed is the out-of-pocket health expenditure borne by majority of the people. The high costs have pushed many families into debts. In view of the low penetration of health insurance in the country, the Aayushman Bharat scheme launched by the Government of India would be beneficial to 10 crore poor and needy families. I am told that liver diseases are more common than heart diseases. According to the latest WHO data, liver diseases account for more than 200,000 (2.44 per cent) deaths annually. Liver cancer is the second most common cause of cancer related deaths worldwide. Hepatitis B and C are still the leading causes of liver illness, cancers and deaths in India. However, in the recent past, fatty liver disease has become an important cause–nearly one out of four Indians have fatty liver and 10 per cent of them might be at risk of developing liver disease due to fat. We should change our diet and life style. It is well known that fatty liver can precede the development of diabetes and heart disease. Obesity and diabetes are associated with liver ailments and diabetics are more prone to liver disease. In fact, we need to have large scale studies and research on metabolic and liver diseases in the country and institutions like ILBS should take lead to define the burden of life style related liver diseases in India. I have also come to know of a disturbing new trend. I am told that nearly 45 per cent of admissions at ILBS are due to alcoholic liver disease. This is because of our changing social milieu. This is preventable. Our society has to understand and minimize alcohol abuse to prevent alcoholic liver disease. The unfortunate part of the story is that such patients are also not considered for liver transplant. We need to create greater awareness about the negative effects of alcohol consumption. Unlike the case with other organs, nearly all the liver diseases are preventable either by healthy life style, or vaccination for hepatitis B, safe blood and needles for hepatitis C. If these diseases are allowed to progress, the liver fails and patient needs a liver transplant. Liver transplant is a cure to those with end stage liver disease. India needs about 200,000 liver transplants a year, but we are able to probably do just about 3,000 transplants a year. I must congratulate the ‘Team ILBS’ for having performed over 550 transplants since inceptionand 190 renal transplants at low cost. I must compliment ILBS, the only government institute in the entire country for running such a successful liver transplant program. Somehow, nearly 95 per cent of transplants in North India are by donation of liver from a relative. We lag behind our western counterparts due to absence of a robust deceased donor program at the national level. I would urge the government to promote cadaveric donor program and also call upon the people to register themselves for the noble cause of donating organs. The most important aspect of healthcare is to make it accessible and affordable to the poorest. A major step would be to provide free intensive care to all road victims and develop transplant facilities in Government Medical colleges. Making ICU care affordable by government assistance and universal insurance may be the way forward. 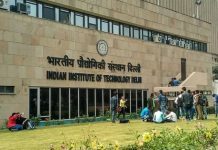 I am told that ILBS was ranked 8th in all Medical Institutions and second to AIIMS, Delhi, in scholastic achievements in the NIRF rankings of 2017, released last year. This has been possible only because ILBS has been nurturing a vibrant culture of research and training in a clinical setting to bridge the gap between the bench and the bedside. I also compliment the institute for introducing several innovative liver-centric teaching programs, such as post-doctoral Courses DM, M.Ch, Ph.D., Post-Doctoral Certificate Courses (PDCC) and short term training programs for the aspiring and eligible medical and research scholars. Today on the occasion of the Institute’s Sixth Convocation, let me congratulate ILBSDirector, Dr.Sarin and all the specialists, who have been trained to serve the country in the niche area of liver disease. The country needs many liver specialists and I do hope that you can substantially increase the number of students in the near future with support from the Government of Delhi and the Medical Council of India. ILBS should fulfill the needs of not only India, but the whole Asian region. I would encourage ILBS to go to the SAARC and ASEAN regions and set up training programs there. Dear students, I heartily congratulate you on your academic accomplishment. As you progress further in your profession, please strive for excellence. Don’t settle for mediocrity, you have the competence to access the knowledge and skills to make you the best specialists and surgeons. The country needs bright young minds and strong skilful hands to shape its destiny. I urge you to seek every opportunity to serve as many people as you can. ‘Bahujana Hitaaya, Bahujana Sukhaya’ should be the guiding principle. India is a vast country with a multitude of challenges. It is also a country that offers unprecedented opportunities. Please seize the opportunities and grow professionally as well as make our country and world a happier place. As you cross an important milestone today, I congratulate you and wish you a fruitful and fulfilling journey ahead.